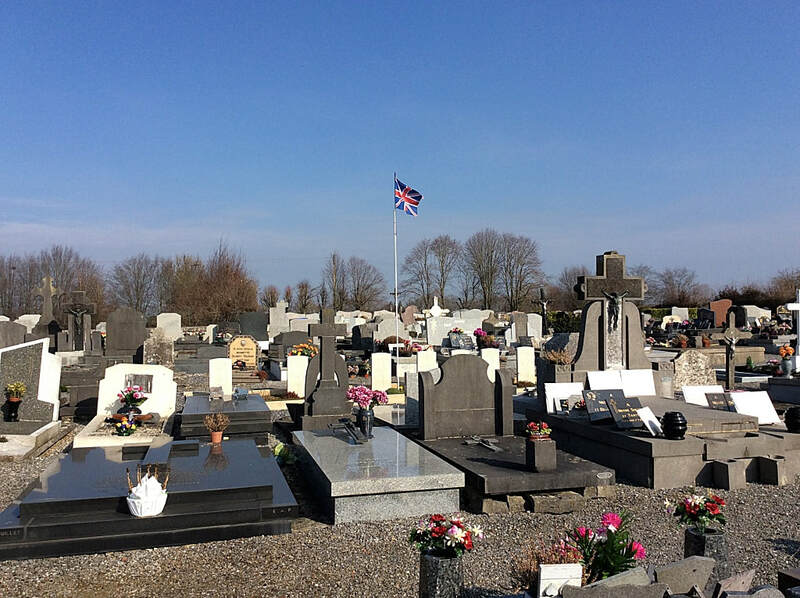 Bousies is a large village in the Department of the Nord, 4 miles north-east of Le Cateau. 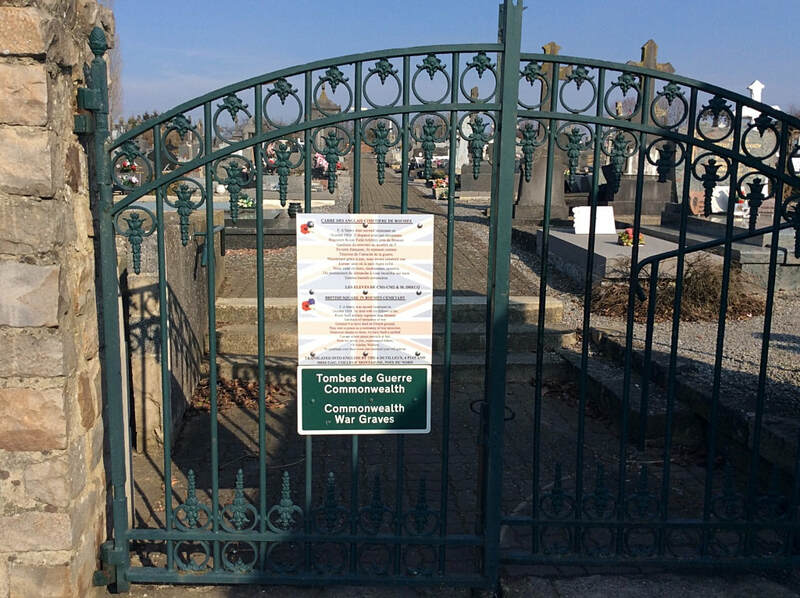 The Cemetery is on the north of the main part of the village (follow direction Poix-du-Nord),on the outskirts of Boussies, on the left hand side of the Preux-au-Bois – Preux-au-Bois road (D243) coming from Preux-au-Bois. 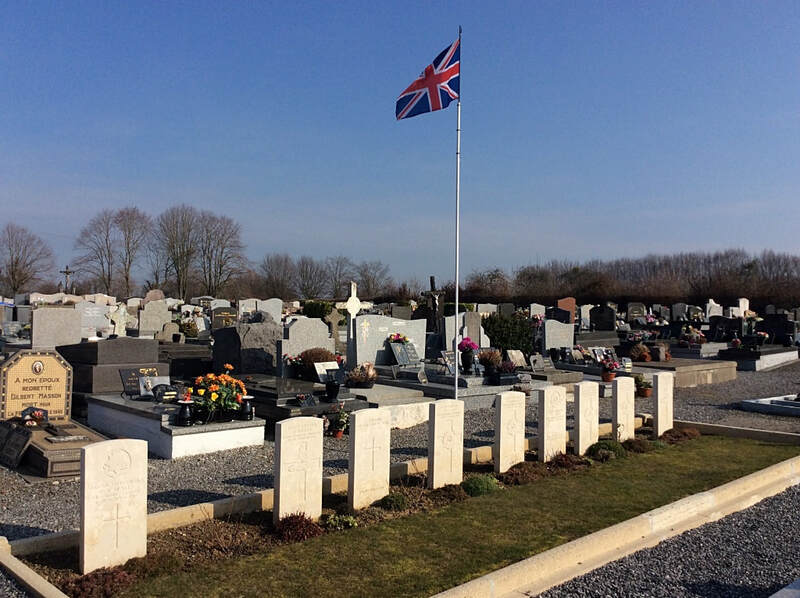 There are 8 U. K. Servicemen from World War One buried here. 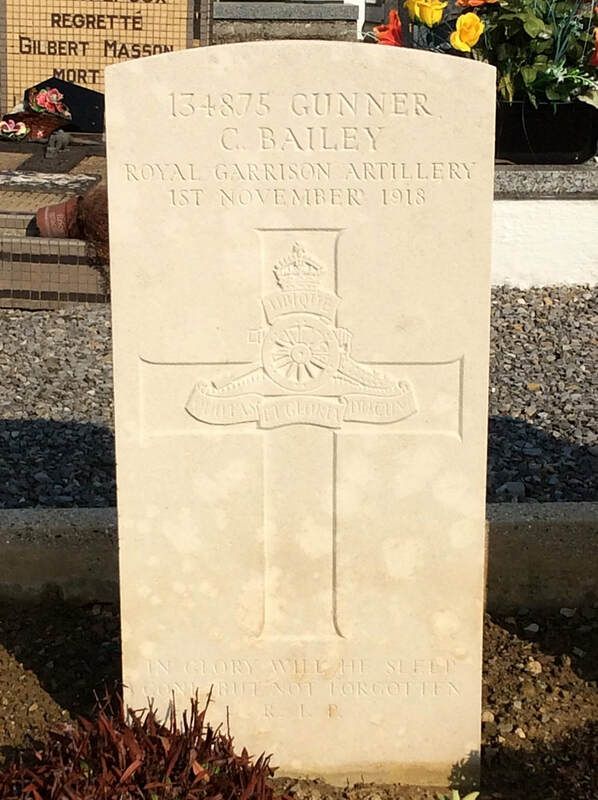 134875 Gunner Charles Bailey, 113th Heavy Battery, Royal Garrison Artillery, died 1st November 1918. Husband of Louisa Bailey, of 3, Mayfield House, Rushcroft Rd., Brixton, London. 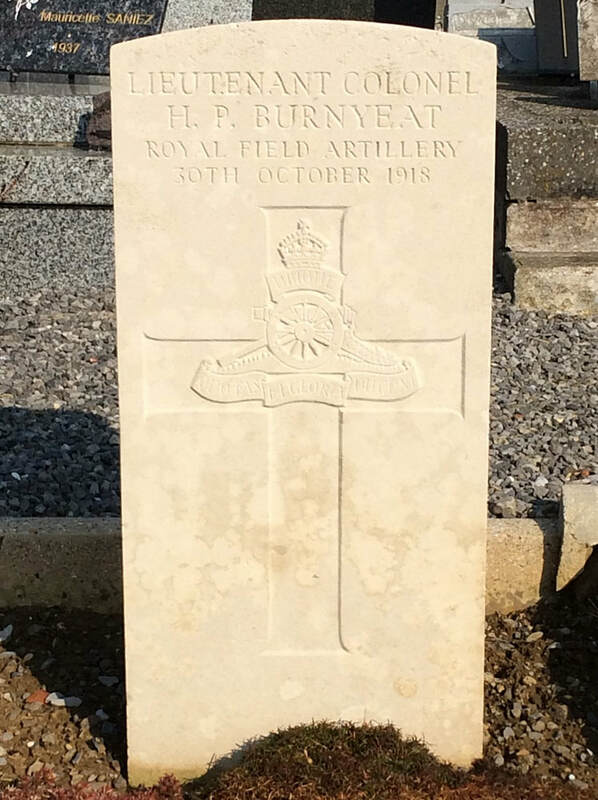 Lieutenant Colonel Hugh Ponsonby Burnyeat, 65th Brigade, Royal Field Artillery, died 30th October 1918, aged 37. Son of William and Sarah Frances Burnyeat, of Millgrove, Whitehaven, Cumberland; husband of Elsie Gertrude Burnyeat, of Flore Grange, Weedon, Northants. 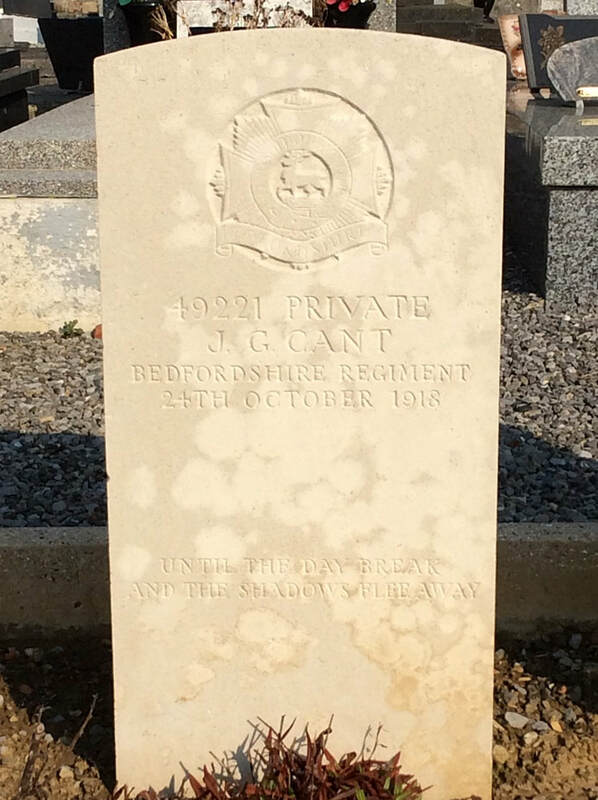 49221 Private Jack Gordon Cant, 2nd Bn. 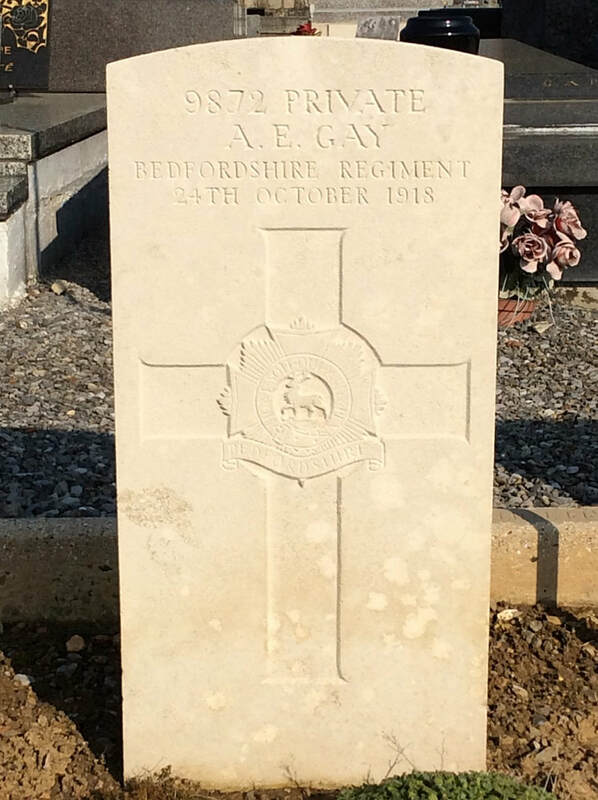 Bedfordshire Regiment, died 24th October 1918, aged 19. Son of R. G. and Alice Cant, of Steeple, Southminster, Essex. 40874 Private J. W. Cook, 2nd Bn. 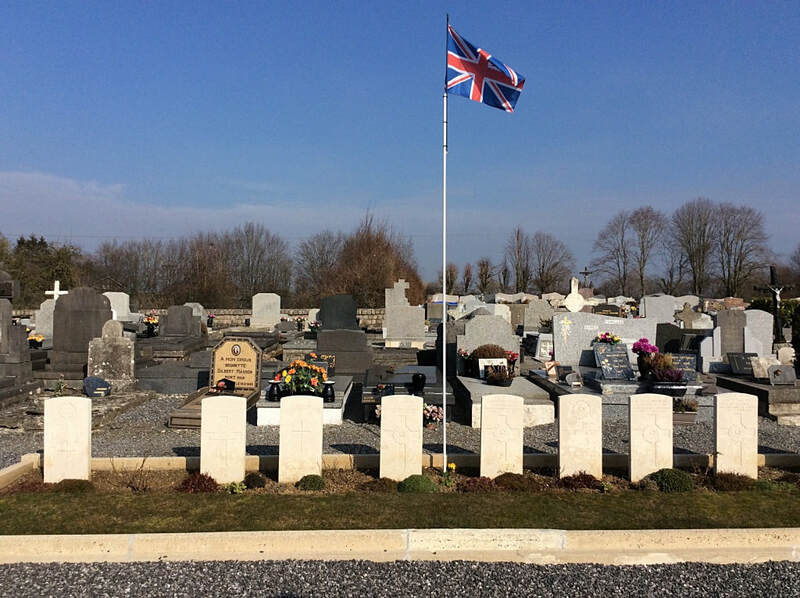 Bedfordshire Regiment, died 24th October 1918. 9872 Private Albert Ernest Gay, 2nd Bn. Bedfordshire Regiment, died 24th October 1918, aged 25. Husband of Louisa Gay, of 19, Norah St., Bethnal Green, London. 15610 Corporal R. Halsey, M. M. 2nd Bn. Bedfordshire Regiment, died 24th October 1918, aged 23. 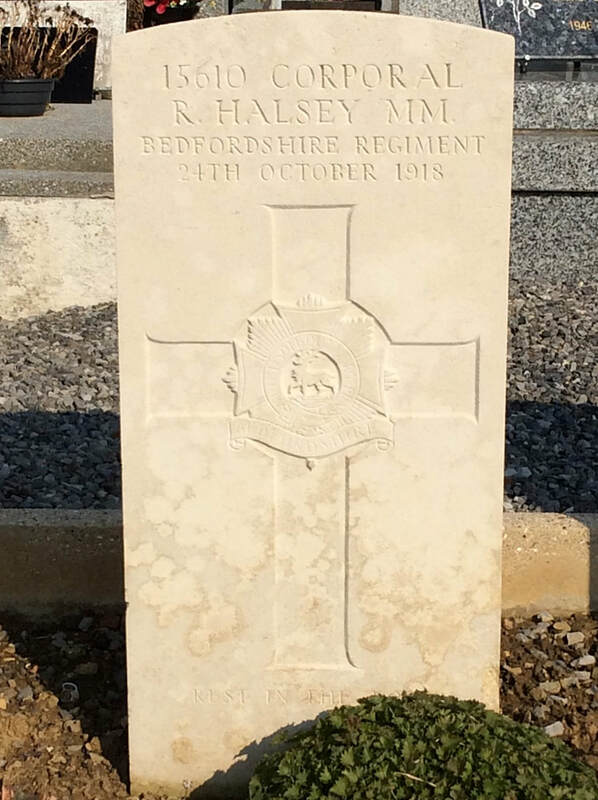 Son of Charles and Rose Halsey, of 5, East Common, Redbourn, St. Albans, Herts. 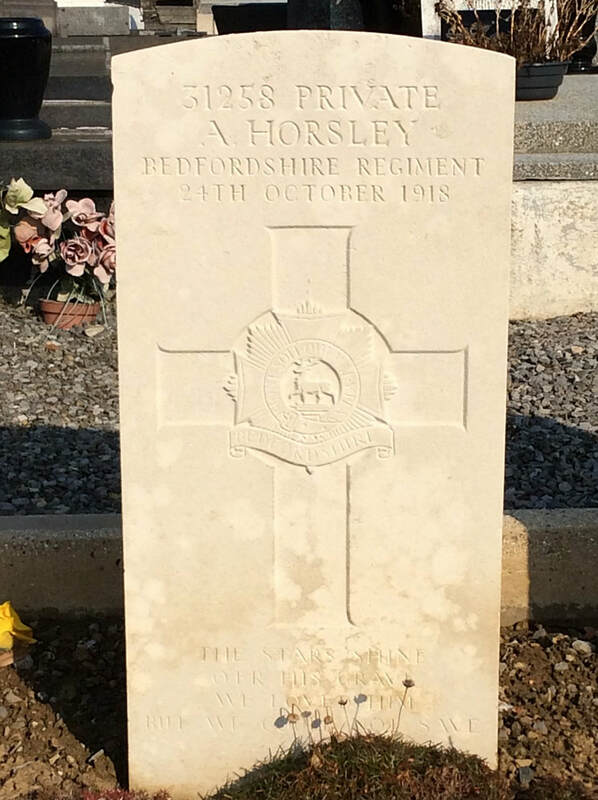 31258 Private A. Horsley, 2nd Bn. 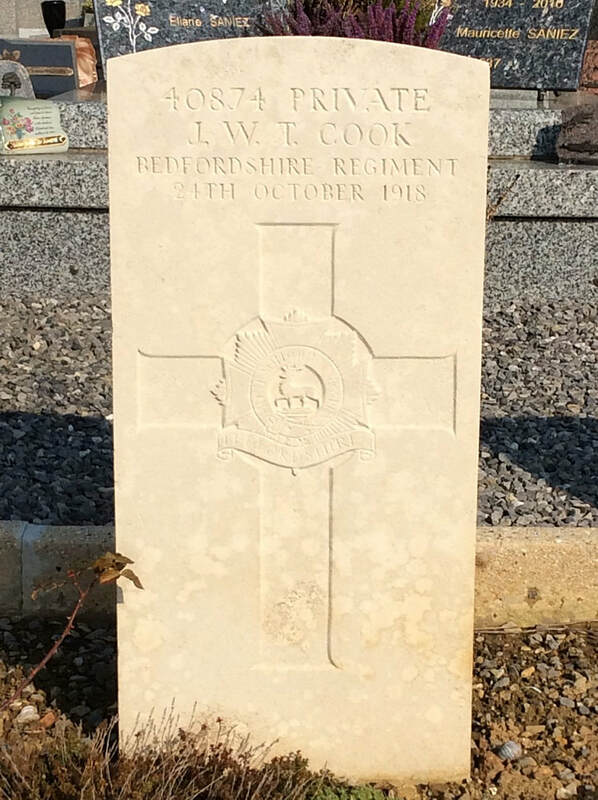 Bedfordshire Regiment, died 24th October 1918, aged 21. Son of Samuel and Lydia Horsley, of 11, Havelock St., Desborough, Northants. 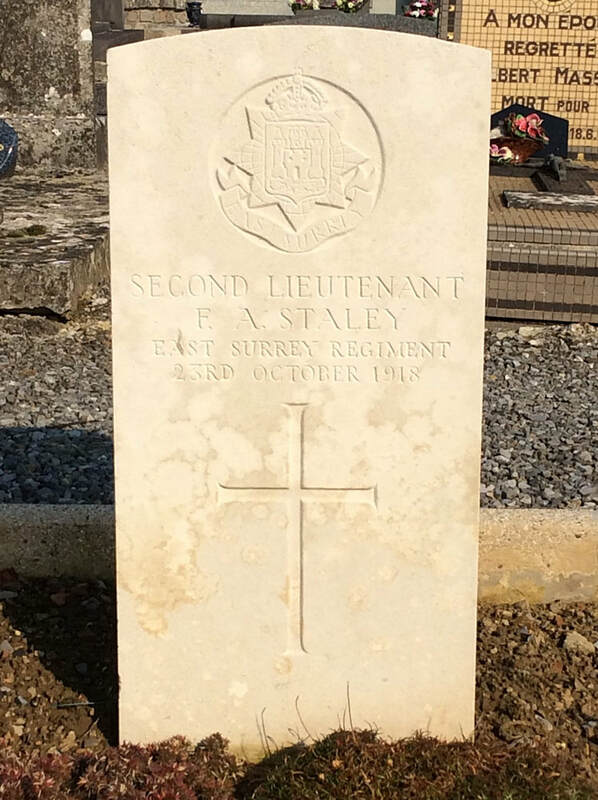 Second Lieutenant F. A. Staley, 3rd Bn. attached to 8th Bn. 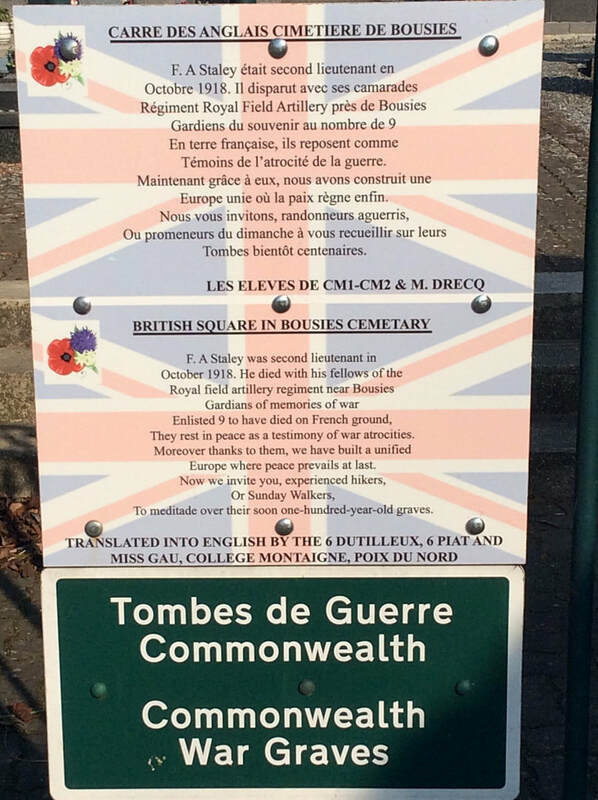 East Surrey Regiment, died 23rd October 1918. 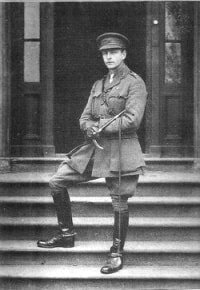 30th October 1918, aged 37. ​Son of William and Sarah Frances Burnyeat, of Millgrove, Whitehaven, Cumberland; husband of Elsie Gertrude Burnyeat, of Flore Grange, Weedon, Northants.